According to Mary, she had served honorably in two branches of military service, most notably a stint during the Civil War. Combat was reserved for men only, but Mary openly shared the details, insisting her story was true. Before I continue, understand that there is at present no clear, crisp ending to this story, at least not to my satisfaction, but it’s a remarkable story nonetheless. Mary’s tale has been noted in very few sources, including some books that butchered the facts while only citing snippets. But as I discovered, it’s a mystery well worth a look. When an 85-year-old poorhouse inmate begins telling stories, it would be easy to shrug it off as the ramblings of early dementia, especially when a woman declares that she was a Union soldier in the Civil War. But Mary Johnson’s story had a ring of truth. Her caretakers realized that if she had in fact served, a pension might remove the Johnson’s from their position as wards of the state. When the Worcester Chapter of the American Red Cross was notified, they sent Eleanor Vashon, executive secretary, to interview Mary. That meeting temporarily conferred celebrity status on Mrs. Johnson when the media picked up the story. As Mary told it, she was born Mary Murphy in Plattsburgh, New York, in 1840. Having lost both parents by the time she was eight, Murphy was adopted by the Benjamin Hill family. During the next decade, they lived in more than a dozen places in New York, Vermont, and Massachusetts, where they finally settled. She recalled living in Westminster in what Mary referred to as the General Mills Nelson house (actually the home of native General Nelson Miles). They also lived near the old stone mill in Fitchburg (to confirm, there was one), where she and stepbrother Thomas Hill worked, learning how to create chair seats. The war soon changed everything, but having lost her original family, Mary clung to what had given her comfort and a sense of belonging. 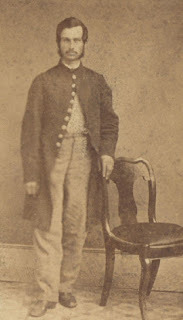 “Soon after the outbreak of the Civil War, Tom enlisted in the army. He went to Camp Groton, Ayer, which is now known as Camp Devens. “My home life was unbearable and lonely with Tom gone, for I loved him devotedly, as though he were my own brother. I followed him to Camp Groton. I started my journey at midnight, and got as far as Whalom Marshes, now Whalom Park [an amusement park], where I was picked up by a group of men who were traveling in a barge to Camp Groton. “The men rolled me in coats and blankets and got me into camp. I asked to see Colonel Davis or Lieutenant Pratt, but this was refused. I was then taken at my request to my brother, Tom. After a while, Tom and his companions agreed to enlist me as a man and keep the secret. 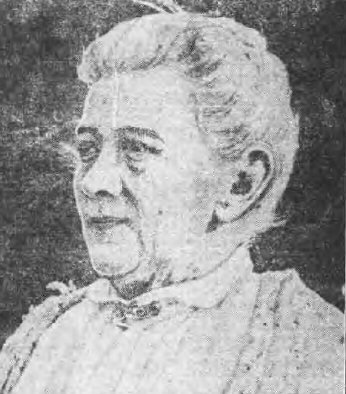 She also gave details on the Battle of Antietam and others she participated in, revealing powder marks and a scar on her fingers, courtesy of a bullet wound. Through existing records, some of that information should have been verifiable. Mary also claimed to have enlisted in the navy at Key West (shortly after her army discharge) and served for nearly six more years. At one point, she described landing at Montreal, and an encounter there with a woman who said she was Queen Victoria. (Victoria never visited Canada, but her son, Prince Arthur, was there at the time.) Shortly after, Mary left the navy and spent time at a convent in Quebec. To research this story, I took the position of trying to disprove Mary’s claims. I knew she hadn’t met the queen, but I had to concede that the person she mentioned could have claimed to be the queen. From my perspective, though, that part of her story remained in the untrue category. Next week, the conclusion: proving or disproving Mary’s claims. If even a fraction of the “woman served in the Civil War” stories were true, then most of the armies on both sides must have been women.